Add potatoes, bacon, onions, celery, carrots, parsley, salt, and pepper. Simmer uncovered until vegetables are tender. In separate bowl, whisk cornstarch in cold milk. 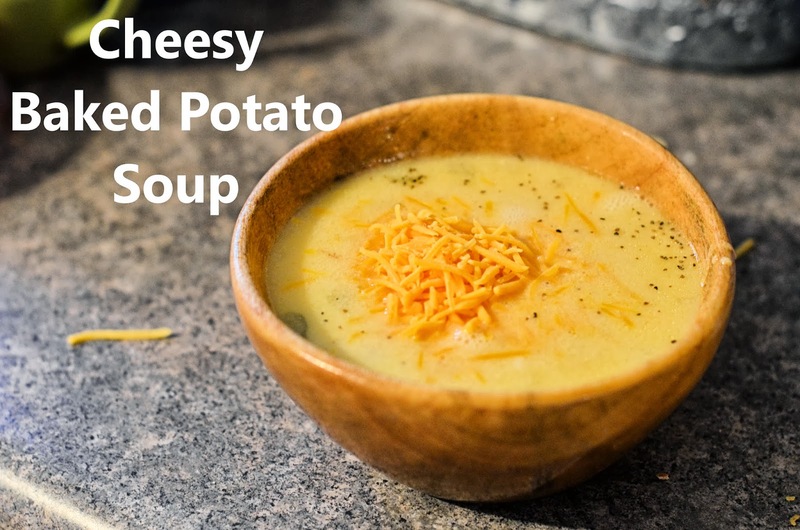 When all vegetables are tender add the milk/starch mixture, the slices of cheese, and 1 cup of Shredded cheese. Use the remains of the shredded cheese to serve on top of each bowl with crusty bread on the side.